Insulating cover kit to protect against accidental shorts when using VTE 120A tab terminal busbars P01549 & P01551. 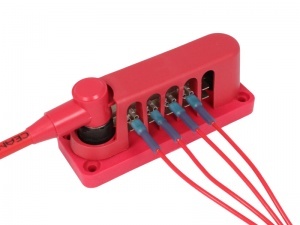 The kit consists of a colour-coded cover for the busbar tab terminals and two colour-coded covers for the main connection post (to suit various feed cable sizes - max. 16mm2). 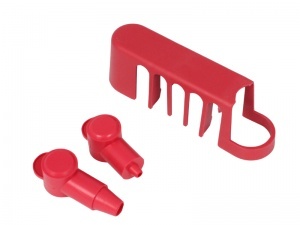 The cover simply clips into place over the tab strip of the busbar and provides a neat and effective solution. Suits both 10 and 20 point busbar versions.